Just a note for anyone who doesn’t already know, they didn’t publish a Doctor Who Annual in 1972… they skipped that year for some reason. So, there’s no point trying to hunt it down as it doesn’t exist! For the devoted Doctor Who merchandise collector, the annuals are usually a high priority on the list of ‘must-have’s. Although the visual and literary qualities of these books are at best reasonable and at worst dire and bizarre, they are desirable items and can sometimes fetch quite high prices. The fact that most are now very difficult to obtain – necessitating ferreting through dusty second-hand bookstores, flea markets and school fairs – perhaps makes the pursuit of a complete set of Doctor Who Annuals all the more appealing. There were twenty ‘regular’ Doctor Who annuals published by World Distributors (later World International); two Hartnell, three Troughton, four Pertwee, seven Tom Baker, two Davison and two Colin Baker annuals. Each annual was published in September, allowing a sufficient sales period prior to Christmas, though it is important to note that the date (most but not all annuals were dated), printed on the cover is always that of the following year. The first annual was published in 1965 for 1966, and thereafter the books appeared on a regular basis, missing only one year: there was no 1972 annual published in 1971. The last annual was published in 1985, cover dated 1986. In addition to these twenty regular annuals, there were an additional eight books following the same annual format published by World. Four of these were yearly editions of Terry Nation’s Dalek Annual, dated 1976 to 1979, as well as a K9 Annual 1983, a special promotional publication entitled The Amazing World of Doctor Who in 1976, and compilation volumes reprinting material from earlier annuals: Adventures in Space and Time in 1981, and Journeys Through Time in 1985. 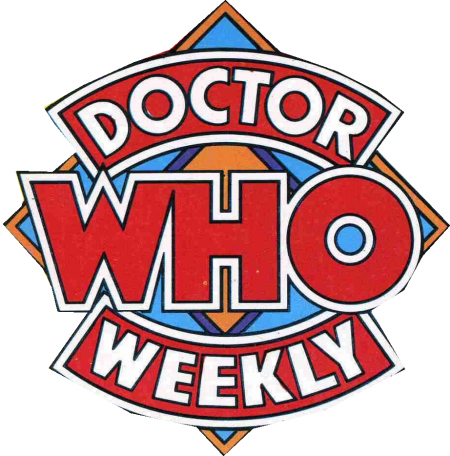 The twenty regular annuals contained between six and twelve stories, most of which were text, with the occasional comic strip, featuring the Doctor usually accompanied by one or more of his television companions. These stories were interspersed with features, puzzles and games, which almost never had anything to do with Doctor Who, and seem to have simply acted as space-fillers to reach the required page-count. The writers and artists were rarely credited for their work; the writing chores were sometimes shipped out to freelancers, though mostly they were undertaken in-house by editorial department staff. Once written the stories were submitted to the BBC for approval. Although most of the annuals were printed in Great Britain, the fact that many were printed in countries including Italy, Spain and Belgium led to the long-held mistaken belief in fandom that many of the internal illustrations were done by foreign artists, since the likenesses of the Doctor and his companions – especially during the Tom Baker era – were often very poor. In fact the artwork was almost invariably done in-house at World’s art studios, based in Manchester. In addition to the ‘annual’ type hardback books, World Distributors also published a hardback book in 1966 called Doctor Who and the Invasion from Space which at first glance has the appearance of a Hartnell annual, but is in fact just one story, written by J.L. Morrissey. World Distributors also published a number of Doctor Who activity books, including all of the following in 1966: Dr Who on the planet Zactus Painting Book, Dr Who – Travels in Space Painting Book No.1, Dr Who Painting Book No.2, Dr Who Sticker Fun Book – Travels in Space, Dr Who Sticker Fun Book – Travels in Time, Doctor Who Puzzle Fun No.1 and Doctor Who Puzzle Fun No.2. In the 1970s, three more activity books were produced by World Distributors: The Dr Who Colouring Book (1973), Doctor Who Press-Out Book (1978) and Doctor Who Colouring Book (1979). 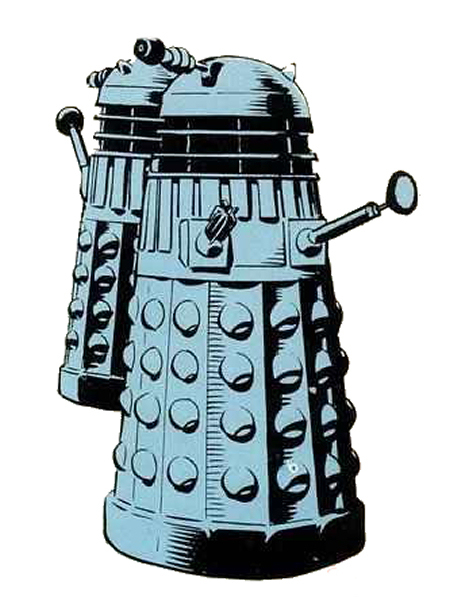 In the Sixties there were three Dalek books released in a similar format to the annuals. These were published by Souvenir Press & Panther Books, the earliest of which pre-dated the first Hartnell annual: The Dalek Book (1964), The Dalek World (1965) and The Dalek Outer Space Book (1966). All three of these books are even harder to find than the earliest annuals. then resumed by Marvel 1992 to 1996, revived for 2006 until 2018 at present. Marvel Premiere is an American comic book anthology series published by Marvel Comics. In concept it was a tryout book, intended to determine if a character or concept could attract enough readers to justify launching their own series, though in its later years it was also often used as a dumping ground for stories which could not be published elsewhere. It ran for 61 issues from April 1972 to August 1981. Contrary to the title, the majority of the characters and concepts featured in Marvel Premiere had previously appeared in other comics. Marvel Premiere was one of three tryout books proposed by Stan Lee after he transitioned from being Marvel Comics’ writer and editor to its president and publisher, the others being Marvel Spotlight and Marvel Feature. The advantage of such tryout books was that they allowed the publisher to assess a feature’s popularity without the marketing investment required to launch a new series, and without the blow to the publisher’s image with readers if the new series immediately failed. In addition to giving established characters a first shot at a starring role, Marvel Premiere introduced new characters and reintroduced characters who no longer had their own titles. Writer Roy Thomas and penciler Gil Kane revamped Him as the allegorical Messiah Adam Warlock in Marvel Premiere #1 (April 1972). Doctor Strange took over the series with issue #3 and writer Steve Englehart and artist Frank Brunner began a run on the character with issue #9. The two killed Dr. Strange’s mentor, the Ancient One, and Strange became the new Sorcerer Supreme. Englehart and Brunner created a multi-issue storyline in which a sorcerer named Sise-Neg (“Genesis” spelled backward) goes back through history, collecting all magical energies, until he reaches the beginning of the universe, becomes all-powerful and creates it anew, leaving Strange to wonder whether this was, paradoxically, the original creation. Stan Lee, seeing the issue after publication, ordered Englehart and Brunner to print a retraction saying this was not God but “a” god, so as to avoid offending religious readers. The writer and artist concocted a fake letter from a fictitious minister praising the story, and mailed it to Marvel from Texas; Marvel unwittingly printed the letter, and dropped the retraction order. In 2010, Comics Bulletin ranked Englehart and Brunner’s run on the “Doctor Strange” feature ninth on its list of the “Top 10 1970s Marvels”. Iron Fist first appeared in issue #15, written by Roy Thomas and drawn by Gil Kane. Other introductions include the Legion of Monsters, the Liberty Legion, Woodgod, the 3-D Man, and the second Ant-Man (Scott Lang). The series also featured the first comic book appearance of rock musician Alice Cooper. Though Adam Warlock, Doctor Strange, and Iron Fist were all given their own series following their tryout in Marvel Premiere, many of the later features were never meant even as potential candidates for a series. In some cases, such as the Wonder Man story in issue #55 and the Star-Lord story in #61, the writer simply wanted to do a story featuring that character and there wasn’t a more appropriate place for it to be published. Some features, such as Seeker 3000 (issue #41), were conceived specifically for Marvel Premiere but with no real plan for a series. Later in the title’s run, Marvel Premiere was used to finish stories of characters who had lost their own series including the Man-Wolf in issues #45–46 and the Black Panther in issues #51–53. Doctor Who Magazine #263 seems to have an error – the comic strip is part three of a four part story, but #262 contained part one, and #264 contains part three. Seems like whoever originally put the scan together substituted in the strip from #264 into #263. Thanks for letting me know, i will see what i can do about that.